Australian Hiker | Are Spiders an issue for hikers? Are Spiders an issue for hikers? For most hikers, spiders don’t even rate in the scheme of things to worry about when you have snakes and ticks to deal with. In fact, more deaths in Australia each year are caused by bee stings. While most Australian spiders are relatively harmless and their bite may just cause local pain for short periods, we do have a few species that can cause major issues. In fact, some spiders can be just as lethal as snakes. The top of our poisonous spider list, and possible the world’s, is the Sydney Funnel Web spider, which is found in NSW in forests as well as in populated areas as far south as Nowra and north to Newcastle (north of Sydney). The funnel web spider has larger fangs than a brown snake if their appearance wasn’t scary enough by itself. The male spiders are the issue as they have a toxin that is deadly to humans and is different to the female toxin. The males go wandering looking for mates while the females build their webs at ground level in rotting logs and crevices. The good news is that since the antivenom became available in 1981, there have been no fatalities recorded. There are however different species of Funnel Web spiders along the east coast of Australia as well as in regions of the Australian Alps. And while these other species may not be as well-known, they can cause serious health implications. The title image for this article was taken at Mt Bimberi in the ACT in December and these spiders are well known throughout this section of the Australian Alps. As such, a shelter with insect proofing is the preferred option for camping in these areas particularly during the warmer months. Red Back spiders are common in Australia and will only tend to be an issue if you put your hand into or close to their webs. Check with your local state health authority for treatment for spider bites that may be specific to a particular area. 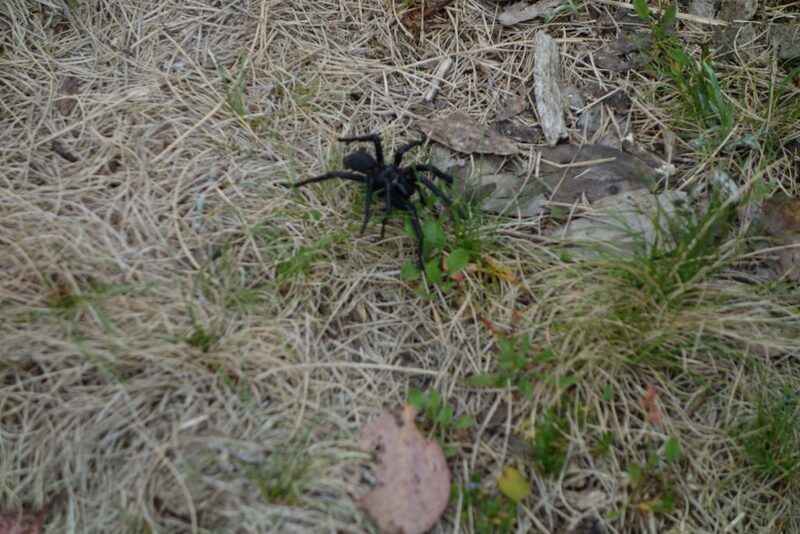 Spiders aren’t an issue for most Australian hikers however it’s best to know if venomous spiders are present in areas in which you are planning to hike. Also, ensure you use the correct in-field practices and have appropriate First Aid equipment, training and emergency procedures in place.